Synopsis: Senior year is supposed to be easy, but for Ryan Dean West, there are no guarantees.Ryan Dean finds himself as the rugby team's new captain and stand-off - the position once played by his friend, Joey. Plus, somehow he's inherited as his roommate Sam Abernathy, a twelve-year-old cooking whiz with extreme claustrophobia and a crush on Annie Altman, Ryan Dean's girlfriend.And Ryan Dean has his own problems, too - he's haunted by things from his past he can't escape, fear of losing Annie, and the fact that sometimes the uncontrollable force of friendship moves under its own power. Just as life doesn’t stop for a real tragedy, nor does that of Ryan Dean West; a 15 year old senior bereft of his best friend. Smith’s extension of West’s story, begun in 2012’s Winger, feels wholly organic; it’s hard to imagine the story without this second instalment that deals with the aftermath of Winger’s denouement: not to give it meaning (it’s hard ever to give meaning to tragedy) but time. Time to breathe, grieve and reflect. As a study of grief, Stand Off is excellent; it’s not saturated in anger and pain, rather relinquishes itself to those emotions as and when is necessary. Like stabbing knives, the trials and tribulations of Ryan Dean’s senior year are pierced by his attempts to cope with losing such a close friend. As in Winger, there is plenty to laugh about in Stand Off, but it is the contrast between the humour and the pain of grief that justifies the novel and pushes Ryan Dean’s story forward. 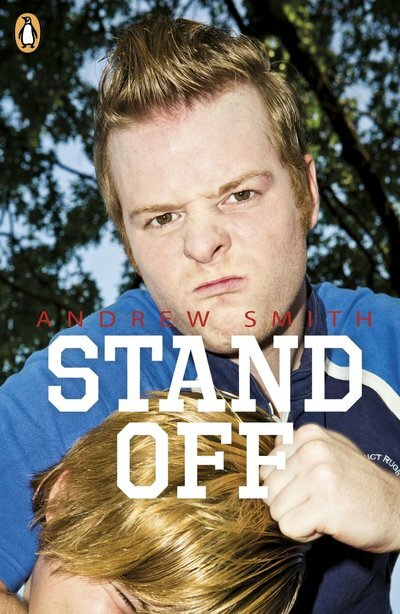 If anything, Stand Off is a reminder that Smith is, prior to anything else, gifted with the astounding ability to pinpoint character. It is present both in his “mundane” fiction as well as his experimental work (Grasshopper Jungle), and he deftly captures the essence of what it means to be a teenage boy. The life of his characters permeates his work so much that it is hard to imagine them as anything other than real people. It is what makes Smith an excellent writer and what, by extension, makes Stand Off such an outstanding novel.